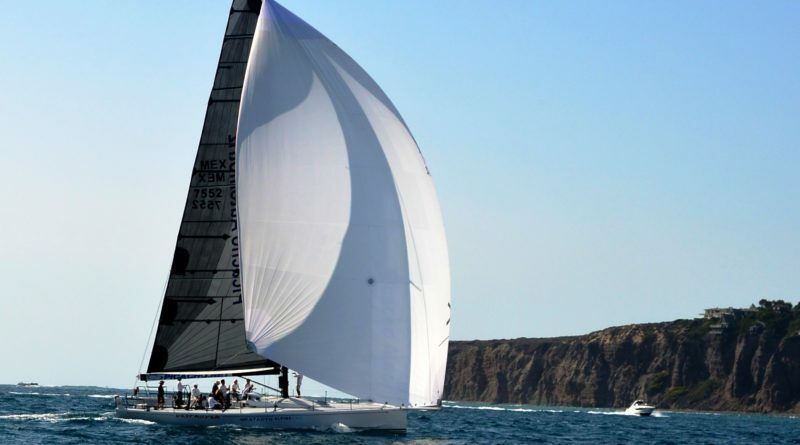 Three local yacht clubs join together in hosting the Long Beach to Dana Point Race. LONG BEACH ― Sailors will compete in the 34th annual Long Beach to Dana Point Race, held Sept. 2 off the Southern California coast. This Labor Day weekend race is not to be confused with the Labor Day Regatta hosted by Alamitos Bay Yacht Club, in which boats stay within the Long Beach Harbor and Alamitos Bay. Three yacht clubs are involved in hosting the Long Beach to Dana Point Race: Shoreline Yacht Club, Dana Point Yacht Club and Dana West Yacht Club. “This race brings together two great harbors in [Southern California and] three yacht clubs that work very good together and also have multiple reciprocal privileges,” Dana West YC Race Chair and Club Director Roger Salway told The Log. Shoreline YC will have dinner and a no-host bar available for racers on Sept. 1 and a breakfast buffet the morning of Sept. 2. Dana West YC hosts an after-race party on Saturday evening. Dana Point YC will hold an awards ceremony on Sunday morning. The race is open to the following boat classes: PHRF, ORCA, spinnaker, double-handed spinnaker and all-women. Spinnaker and multiple class racers will have a 39-mile course. Other boats can race the shorter 32-mile course. “This event has somewhere between 45 to 50 boats – a respectable number for a long weekend,” Salway said. The wind can be unreliable at times. Amusingly enough, Salway said the wind subsided early in the day one particular year during this race, and only one boat out of a fleet of 47 finished the race. However unusual and unpredictable the wind was that day; Salway assures more than 90 percent of the fleet typically finishes the race. A link to register for this race is available on the SYC website at bit.ly/2x8LCdB or the Regatta Network website at bit.ly/2uNagnm.